Nestled in the scenic Blue Mountains is the town of Lehighton where the Inn at Birch Wilds welcomes you. After four years of planning and perfecting their cozy getaway destination, innkeepers Cheryl and Rhonda (sisters and Bethlehem natives) opened their doors in early October 2016. 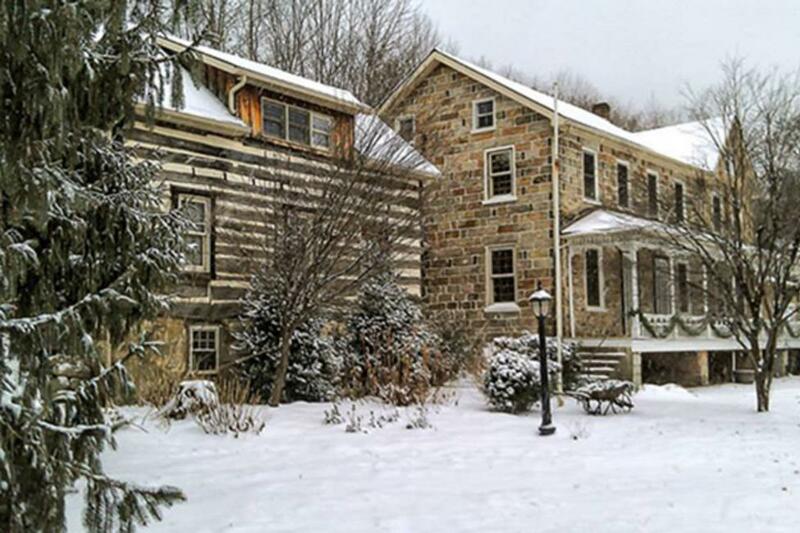 The Inn at Birch Wilds is housed in a log and stone home dating back to 1750 complete with beautiful mountain views. The mission of the property is to help guests forget about their worries and be able to unwind, relax and be close to nature. To help allow for this sense of seclusion, the inn is strictly for adults only. 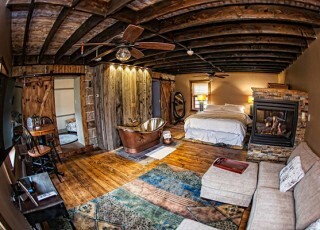 A stay here will provide you with a romantic combination of peace and quiet. 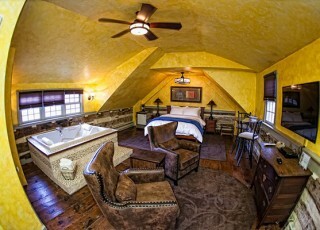 The Inn at Birch Wilds offers four luxurious suites with brand new amenities. Relax in a jacuzzi spa tub or step into the large walk-in rainforest shower. You’ll love kicking back with the fireplace lit, especially as you enjoy breakfast in the comfort of your suite. You’ll have access to the heated indoor pool and jacuzzi as well as common areas filled with books and cozy reading nooks with breathtaking views of the mountains. During your getaway, you&apos;ll find endless adventures waiting for you. There are nearby hiking trails along the Delaware & Lehigh National Heritage Corridor that offer beautiful views and historic structures along the way. Shoot a bow and arrow at the ultimate archery destination at Archery Addictions, and follow up with a movie at Becky’s Drive-In theater where you can order their famous chili dog - they’ve been serving it since they opened in 1946! In the winter months, you can head to Pennsylvania’s highest vertical at Blue Mountain Resort for skiing, snowboarding and tubing. During the summer months, brave Summit Aerial Park, the resort&apos;s high ropes course. If you’re thirsty, enjoy some of the best seasonal cocktails at the farm-to-bottle Eight Oaks Craft Distillers. Go on a behind-the-scenes tour starting with a handcrafted cocktail and ending with a guided tasting of their spirits. Or, take in some of the best mountain views with a wine flight in hand at Galen Glen Winery, just down the road from the inn. Whether near or far, the area’s newest luxury accommodations at The Inn at Birch Wilds should be added to your bucket list.